Matthew Holst was installed as senior pastor of Shiloh in June 2016. Prior to that, he served as pastor of Geneva Orthodox Presbyterian Church in Marietta, Georgia from 2010 to 2016 and ministered in Cambridge Presbyterian Church (UK) for one year. A native of Wales, Matt is a 2008 graduate of Greenville Presbyterian Theological Seminary. His wife, Stacy, is a native of Greenville SC and together they have four children. You can hear sermons by Pastor Holst at sermonaudio.com/shiloh. David Okken was installed as pastor of Shiloh in February 2019. He served previously as a missionary of the Orthodox Presbyterian Church in Karamoja, Uganda for seventeen years. He is a 1998 graduate of Westminster Seminary California. David has been married to Sunshine since 1999. You can hear sermons by Pastor Okken at sermonaudio.com/shiloh. Kevin (pictured with his wife, Catrin) is an attorney in Raleigh. 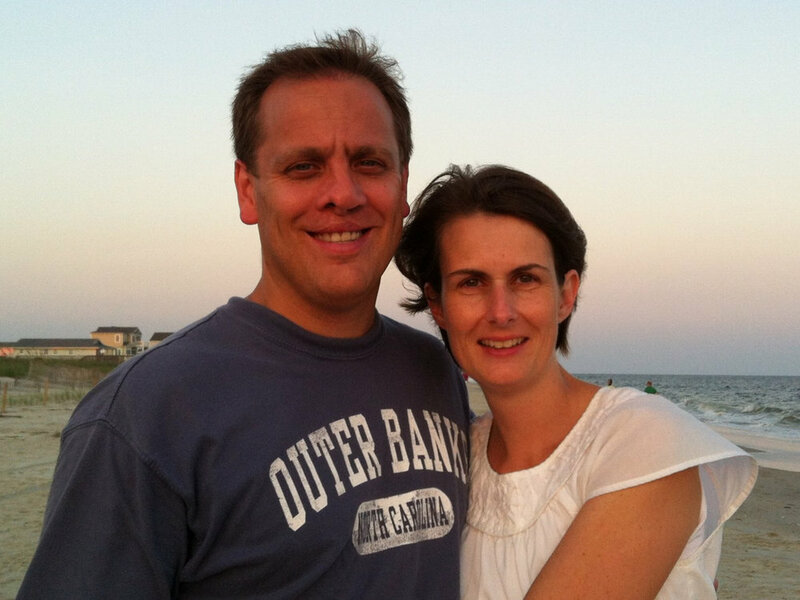 He and Catrin live in Fuquay-Varina with their five children: Lydia, Abigail, Philip, Simeon, and Knox. Kevin is a native of Greenville, NC, and has served as an elder in the Orthodox Presbyterian Church since 2006. McRay, pictured with his wife, Cathy, lives in Fuquay Varina. They are the proud parents of two, both of whom are married to godly spouses by the grace of God, and are grandparents of eight very special grandchildren. After retiring from farming in NW Ohio, Mark (pictured with his wife, Skip) moved to North Carolina to be closer to family. They are thankful the Lord brought them into fellowship with Shiloh and for the opportunity to serve Him and his people. Pete is a Raleigh native, Navy veteran and a graduate of NC State University. He has one daughter, Anna Lee. He welcomes the opportunity to serve alongside the body of believers called Shiloh. Mark (pictured with daughter Sally) is a native Tar Heel, UNC graduate, and home builder. He and his wife, Christin, live in Raleigh with their children - Oakley, Charlie, Coleman and Sally. They enjoy spending time together, particularly when they can be outside enjoying the beautiful NC weather. Tim moved to the area in 2010 for graduate school and started worshiping at Shiloh a few weeks after it was started. He works as a computer programmer. Tim lives in Raleigh with his wife, Maggie (pictured), and their son, James. Shiloh Presbyterian Church began meeting in Cary, North Carolina in June 2010 as a mission work of the Orthodox Presbyterian Church (OPC). From the outset, the vision was well-defined: faithful, clear, God-centered preaching in the context of Reformed worship for the building up of the saints and the conversion of the lost. Shiloh initially enjoyed many months of regularly rotating preachers. Many men gave innumerable hours of labor to the fledgling congregation. Most of those who worked so hard (both in and out of the pulpit) had affiliations with Greenville Presbyterian Theological Seminary in Greenville, SC. In May of 2012, Gabriel Fluhrer, a graduate of Greenville Seminary, was installed as the organizing pastor of Shiloh and in February 2013, Shiloh Presbyterian Church moved from being a mission work to an organized congregation in the OPC. At that time, Pastor Fluhrer was installed as her pastor along with the installation of three ruling elders and three deacons. In April 2014, Shiloh called Reverend Irfon Hughes, previously retired from the Presbyterian Church in America (PCA), to serve as associate pastor. That same month, we began meeting at our current location on E. Whitaker Mill Road, in the Five Points district of Raleigh. After meeting for almost four years at an elementary school in Cary, the Lord blessed us with the ability to purchase a permanent location a mile north of downtown. Our current facility is in the middle of a neighborhood–just where we want to be in order to minister to those around us! The building underwent a dramatic face-lift during five weeks of church workdays and the blood, sweat and tears (mostly of babies) served to transform it into a beautiful, light-filled meeting place. Our desire is for the ministry out of this building to be a beacon of hope to the lost, comfort to the weary, and encouragement to those on the journey. In sum, Shiloh seeks to make Jesus more beautiful and believable to the unconvinced and convinced in Raleigh and beyond! In August 2015, Pastor Fluhrer resigned to accept another ministerial call. In May 2016, Reverend Matthew Holst, formerly of Geneva OPC in Woodstock, GA, was installed as senior pastor of Shiloh. In May 2017, Pastor Irfon Hughes retired as a pastor of Shiloh; he remains a member of our Session.